Light-shunning LTE slate. 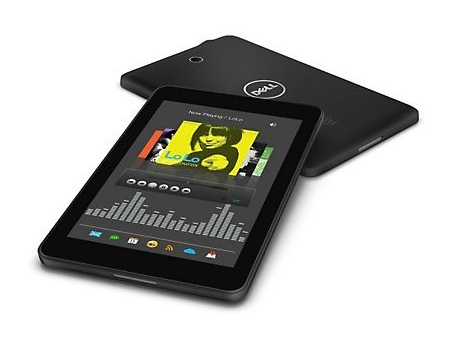 Dell launches a balanced, 7-inch tablet that is based on a current Atom processor from the Merrifield generation and Google's Android 4.4 KitKat, dubbed Venue 7 LTE, on the market. Its brightness and speakers are the biggest points of criticism. However, it does a good job otherwise. Although Dell happily sells the Venue 7 (2014) as a voice-enabled tablet, it really seems as though the company has treated calling as an afterthought. There are plenty of other 7-inch devices, such as Asus' FonePad (Review | Photos) and Samsung's Galaxy Tab series which are more suited for voice calling. At his price level even the first-generation Wi-Fi-only iPad mini is an alternative worth considering despite its age. I’d suggest the 8-inch version of the Dell Venue over its 7-inch counterpart solely for the bump in the screen resolution and very slight upgrade in the front-facing camera. In either case, both tablets still give you bang for your buck, especially considering the poor performance of other sub-$200 tablets. Dell’s latest tablets are as solid as the low-end Android tablet market allows them to be. If you’re looking into a tablet with a low price tag, you’d be doing yourself a disservice by not looking into Dell’s update Venue lineup. The Dell Venue 7 and Venue 8 are similar with only minor hardware differences. They run as expected once the Android updates are installed out of the box. Other than the strange display flashing in the Chrome browser, everything works as expected with the Atom processor. There are occasional stutters in performance, but these are not a deal killer. It is reminiscent of Android tablets in the early stages. It feels like Google needs to do some additional work on Android for Intel hardware. The Venue 7 could have been a fantastic low-cost tablet. 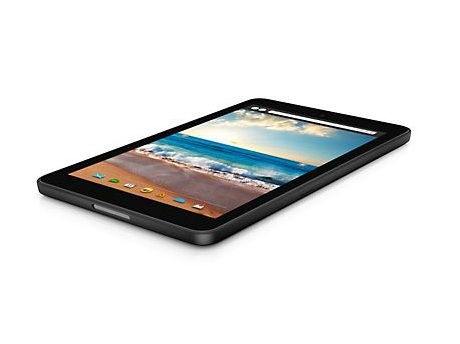 It costs just over half of what the similarly sized Google Nexus 7 (2013) does, making it a serious budget alternative. One significant advantage it has over the Nexus is its microSD card slot. It's also small and light enough to toss in a bag just in case it's ever needed. Unfortunately, the awful screen makes it hard for us to imagine ever using this tablet for reading or watching videos, which are two major use cases for smaller tablets. We don't mind the low resolution, but it's the visible grid pattern that really distracts us. 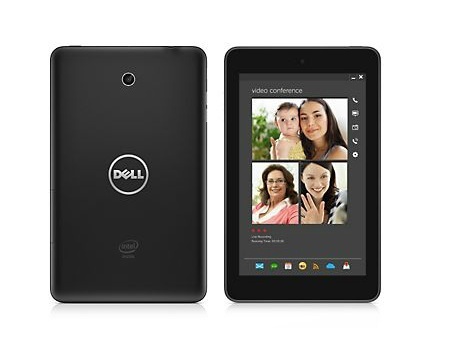 The Dell Venue 7 is an average tablet with an average display and average performance. It's a good buy if all you need is an Android tablet for basic apps, but other options exist. The $129 Nook HD$114.00 at Amazon has a higher-resolution display, though it won't play all the media files the Venue 7 will. The Venue 7 edges out both the HD 7$166.95 at Office Depot and Sero 7$129.00 at Walmart, but barely. If a tablet like the Nexus 7 is out of your price range, the Dell Venue 7 is worth a look. Dell's Venue 7 is a very affordable Android tablet that does a decent job but just has enough small items that make it just an average tablet. It is nice to see that it has a decent level of quality considering its very low price tag and it is easy to expand storage with the microSD card slot. The $149 Dell Venue 7 provides a solid Android experience for an aggressive price. The lightweight tablet holds up well for gaming and video streaming, and the included PocketCloud app adds a nice dash of productivity. We also like the soft-touch back. However, this Intel-powered device offers mixed performance, and it doesn't last as long on a charge as top competitors. Núcleo gráfico Multicore (4 cluster) con soporte para OpenGL ES 3.0 y DirectX 10. 0.295 kg: Este peso es un poco alto para un smartphone. Los smartphones con una gran pantalla y pequeños tablets normalmente pesan casi lo mismo. 74.6%: Esta evaluación es mala. La mayoría de las portátiles son mejor evaluadas. Esta no es una recomendación para compra.